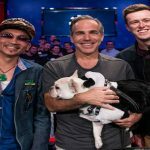 Qui Nguyen just created history by winning most prestigious poker tournament of the world i.e. 2016 World Series of poker Main event. He earned his first gold bracelet of WSOP and grabs $8,005,310 as first prize. It was definitely not an easy job for Nguyen because of his heads up opponent Gordon Vayo. 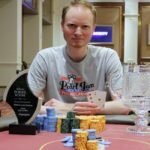 Though Nguyen was the chip leader throughout the day but Vayo made him work hard to win the championship title by his play. Both of the heads up player i.e. Nguyen and Vayo played a tough game at the table but Nguyen slowly built his chip lead against the opponent, who earned $4,661,228 for his runner up finish. Before the heads up took place in between top two players, Cliff Josephy was the one who left the field to third place. Vayo was in second with 89,000,000, whereas Josephy started his day with having a total 50,000,000 in chip counts. Josephy did a great work at the very first hand and made his stacks to 100 million, and at that Nguyen was way ahead with having 150 million chips. After that a few more hands took place among those and then it was decided that Josephy will have to leave the field for rest of the players. He busted to third position for a good total of amount $3,453,035. This was the largest cash for Josephy in his poker career. He missed an opportunity to become either winner or runner up. And when the heads up round began Vayo (60% or 200,300,000 in chips) was having a good chip lead over Nguyen (136,300,000) for at least half an hour, but after that time Nguyen started playing well and he started taking chip lead over his opponent. Both players continued to battle on a fresh ground without any major lead to anyone for over 90 minutes. But after 90 minutes of the heads up play Nguyen started taking control over Vayo. The two players traded chips for over a hectic six hours and in that period Vayo never able to take a good chip lead over Nguyen. 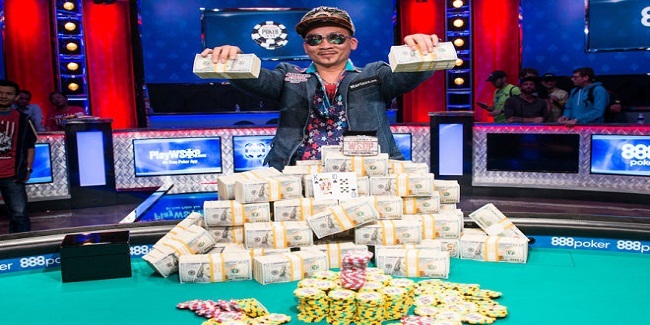 And ultimately after at least eight hours of heads up play Qui Nguyen was able to defeat Vayo and becomes the winner of the prestigious 2016 WSOP Main event for $8,005,310, whereas Gordon Vayo collected $4,661,228 being runner up. The $10,000 buy-in 2016 WSOP Main event received 6,737 entrants and generated a whopping $63,340,268 as total prize pool. Out of 6,737 participants, top 1,011 finishers made at least $15,000 as winning share. The tournament started in July and after playing seven days most of the players were eliminated from the race of the world championship. Only nine players also called as “November Niner” were entitled to play the main event, which began on this Sunday. The November Niners were Fernando Pons, Jerry Wong, Griffin Benger, Kenny Hallaert, Vojtech Ruzicka, Michael Ruane, Cliff Josephy, Gordon Vayo and Qui Nguyen. Fernando Pons was the first player who hit the rail and becomes the ninth position holder of 2016 WSOP Main event for $1,000,000. Jerry Wong was the next player who got out for a massive $1,250,190 and was at eight position, whereas Griffin Benger took home $1,250,190, being seventh position holder. 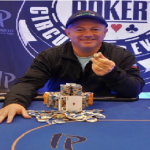 Sixth, fifth and fourth positions of this super poker festival belongs to players such as Kenny Hallaert, who made $1,464,258, Vojtech Ruzicka, who earned $1,935,388 from the game and Michael Ruane, who received an amount of $2,576,003 as winning total.